Perfect for cooking as well as delicious drizzled onto salads or as a final touch to perk up pasta, this first Cold-pressed Extra Virgin Olive Oil gets its amazing flavour from hand picked, stone crushed and half-green olives. It is extracted using centrifugal drums and is then filtered. A staple for your store cupboard! 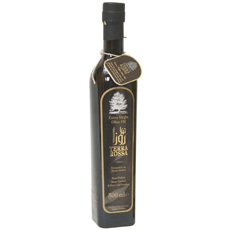 Once you have tasted this Sinolea Cold-dripped and Unfiltered Premium Extra Virgin Olive Oil - made from hand picked, stone crushed, half green olives - you certainly won't want to run out and this larger 500ml bottle makes great value for money. The ultimate final touch for almost every meal! 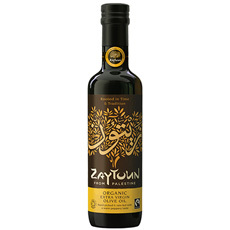 This fine Organic Fair Trade extra virgin olive oil is packed with the flavours of ripe Palestinian olives and is perfect for dipping, drizzling and cooking. 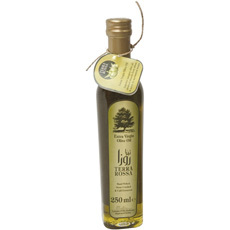 This fine Fair Trade extra virgin olive oil is packed with the flavours of ripe Palestinian olives and is perfect for dipping, drizzling and cooking.